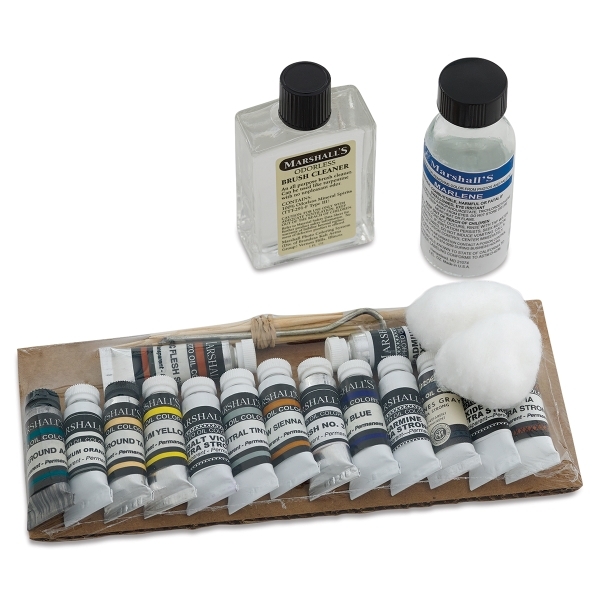 Marshall's Photo Oil Sets are a great way to get started with the Marshall system for hand-coloring photographs. Each set contains a different selection of colors, application tools, and accessories. There's a perfect set for artists of every skill level. This all-inclusive set contains fifteen colors in ½" × 2" tubes, a 1 oz bottle of Marlene Medium (for removing undesired color), cotton balls, toothpicks, a wooden application tool, and a metal application tool.